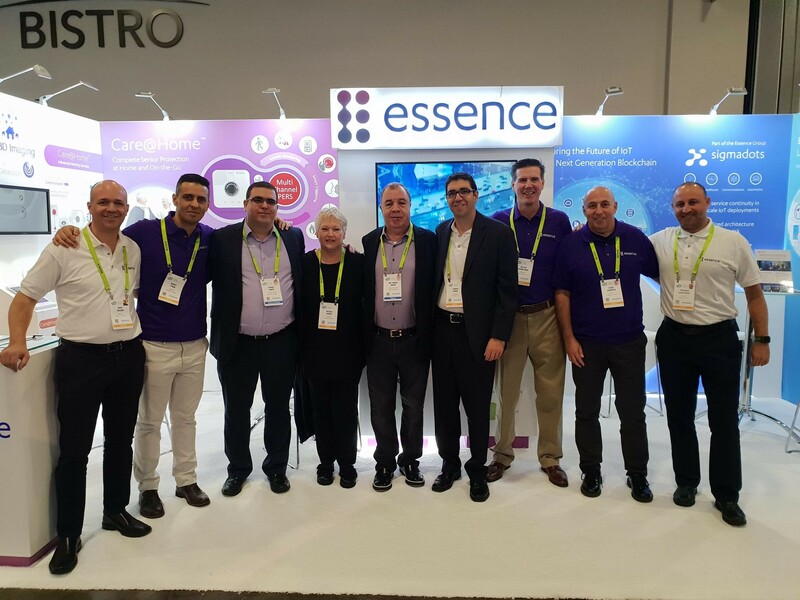 We are pleased to announce that Essence will be exhibiting once again at #CES2019, the world’s gathering place for all those who thrive on the business of consumer technologies. Launch of SigmaDots, the first cybersecurity solution to effectively apply the power of next-generation blockchain to the limited on-board resources of IoT platforms. We will launch our new Umbrella safety solution for personal safety anywhere. This solution allows organizations to provide 24 hour monitoring to their workforce, student bodies, faculties etc... wherever they go! Care@Home, our complete senior protection at Home and On-the-Go with its Advanced Alerting Services (Care@Home Communicator and Care@Home Active).